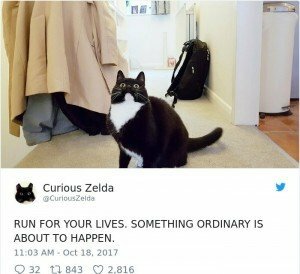 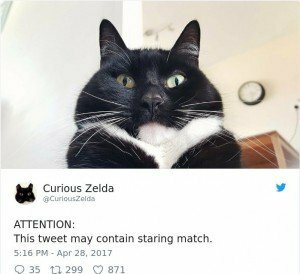 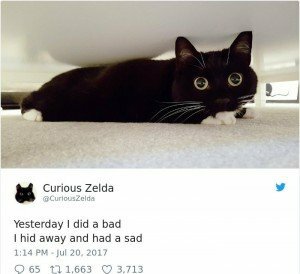 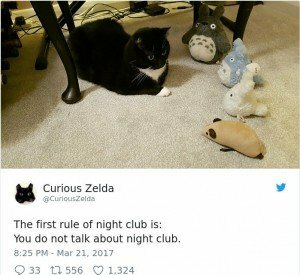 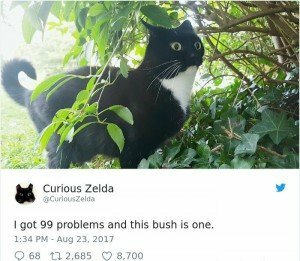 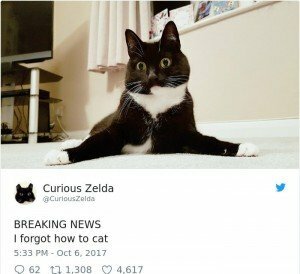 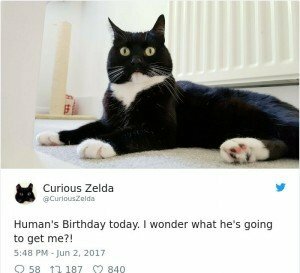 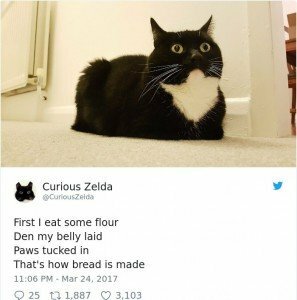 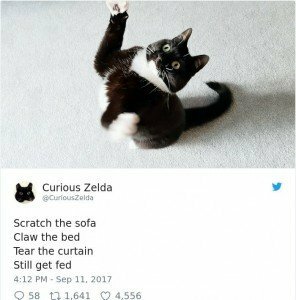 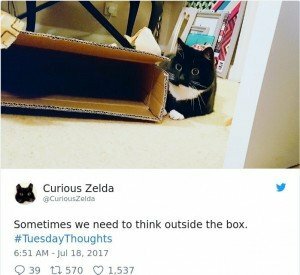 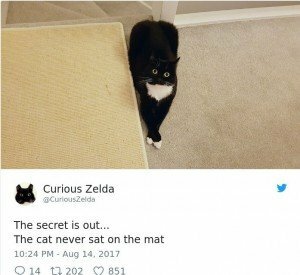 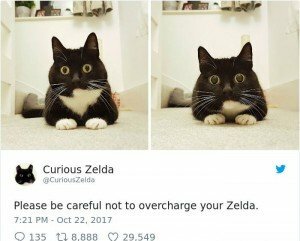 Dogs on Twitter are pretty popular, but Zelda proves that cats deserve the same amount of attention. 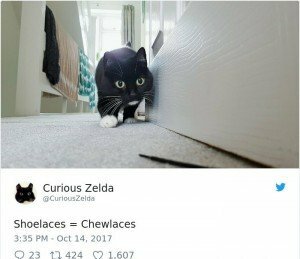 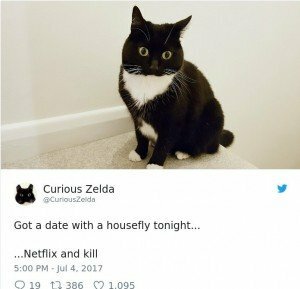 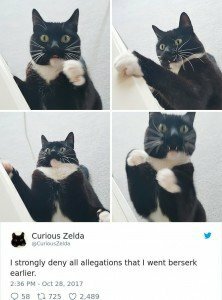 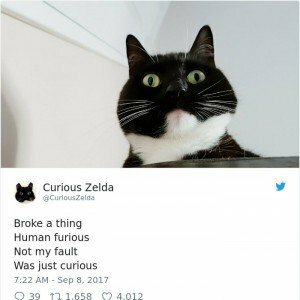 Her account on the social network has over 24K followers, and the constantly growing fan army can’t get enough of her pawsome daily adventures. 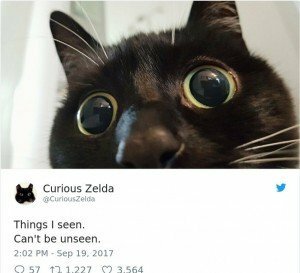 Zelda’s eyes are definitely her defining characteristic. 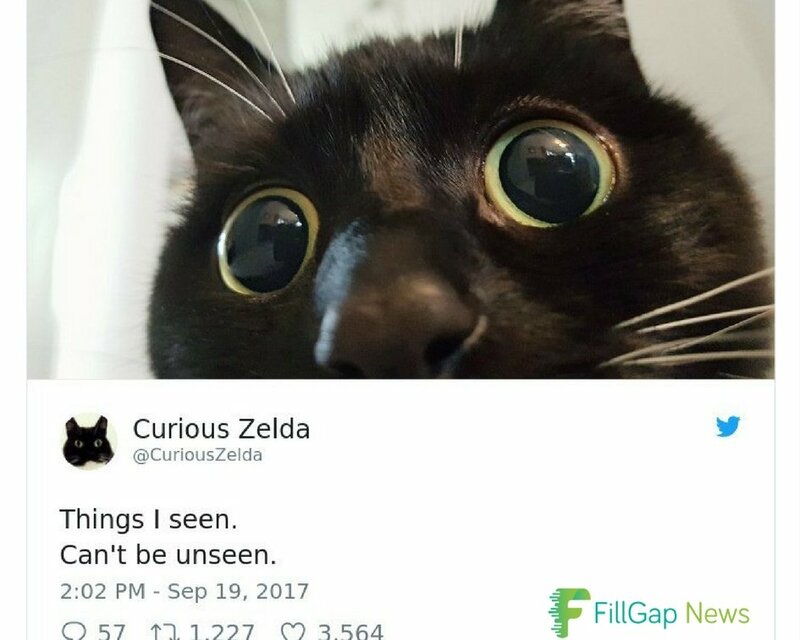 The feline has a curious look, and everything seems to be exciting to her. 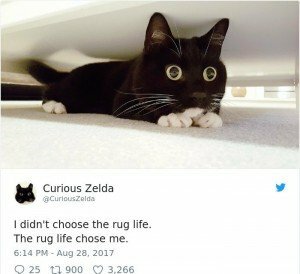 Some say she’s always high on catnip, but it’s just the way she’s wired. 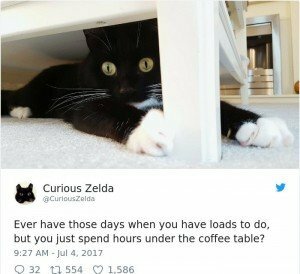 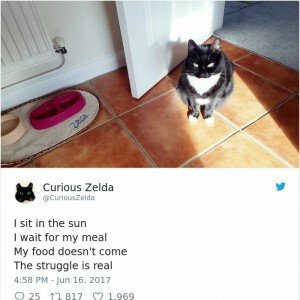 From reaching for a shoelace to sitting in the sun, everything about Zelda’s facial expression looks like she’s in an intense life-or-death situation, all the time. 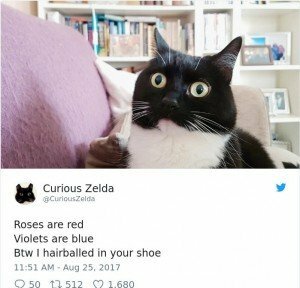 Scroll down to check out her tweets and upvote your favorite ones.